Prasonisi. 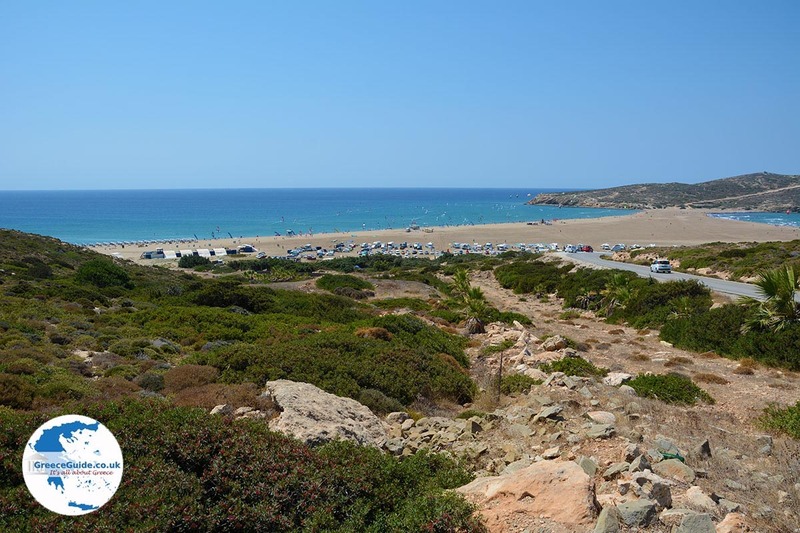 Prasonisi is located at the southernmost point of the Greek island of Rhodes, about 90 kilometers (56 mi) from Rhodes town. 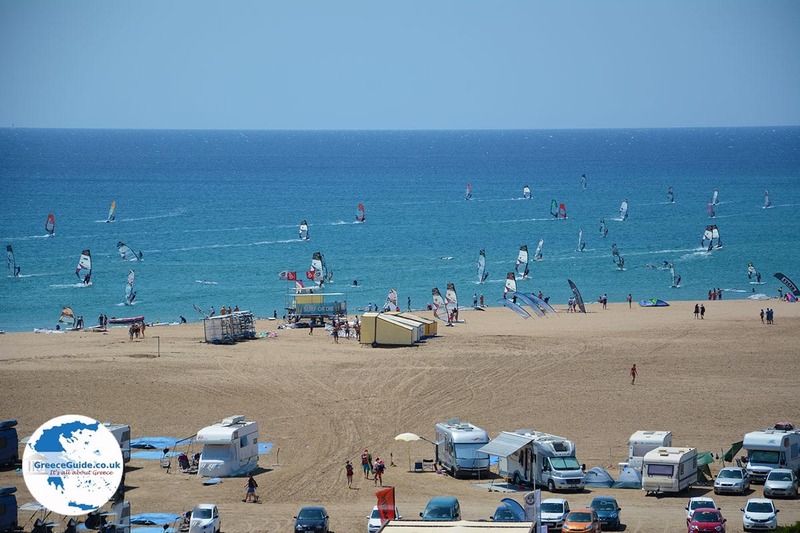 It is an island, or rather a peninsula that's very popular during the summer. 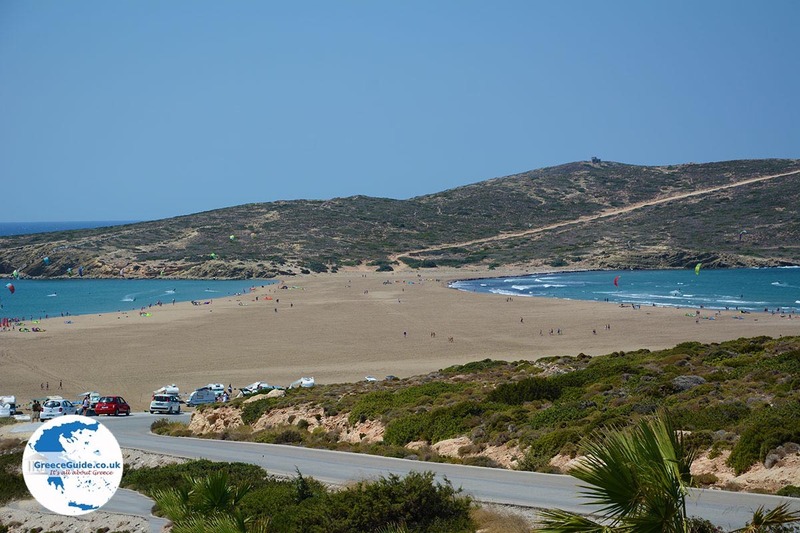 A narrow strip of sand connects Prasonisi to the mainland of Rhodes. On both sides of the isthmus one can swim at beautiful sandy beaches. 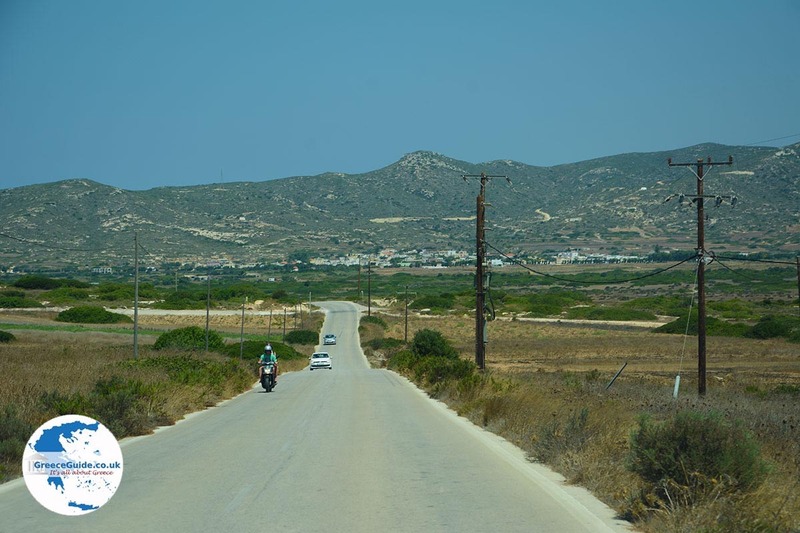 To get there from Rhodes town, you’ll drive by car a little more than an hour and a half. 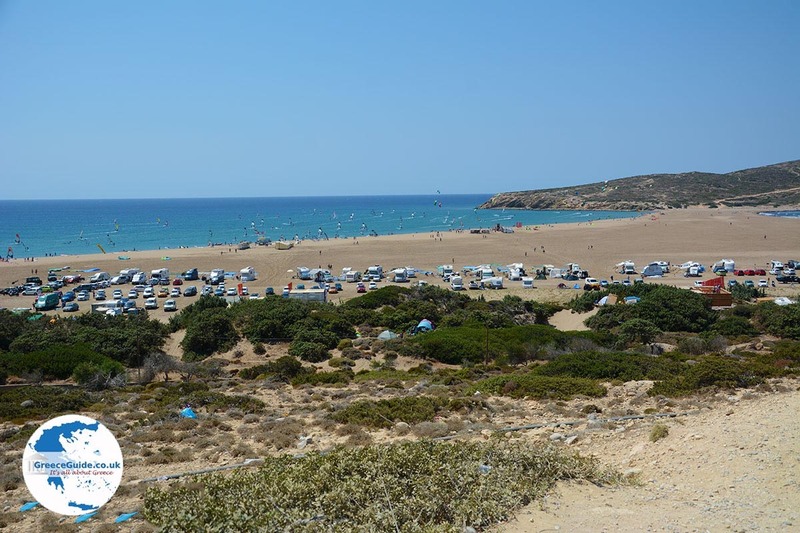 The car can be parked next to the large sandy beach. 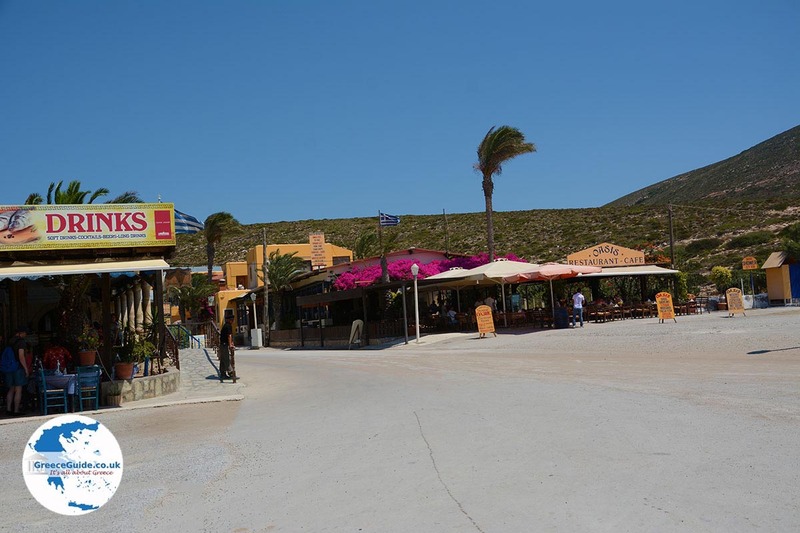 Here you’ll find several restaurants and beach bars. 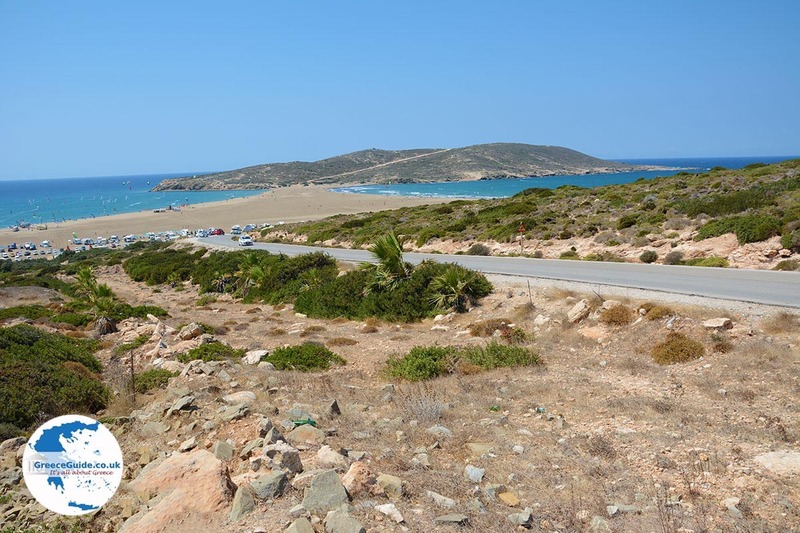 On foot you can walk through the narrow strip of sand to the island and climb the hill. 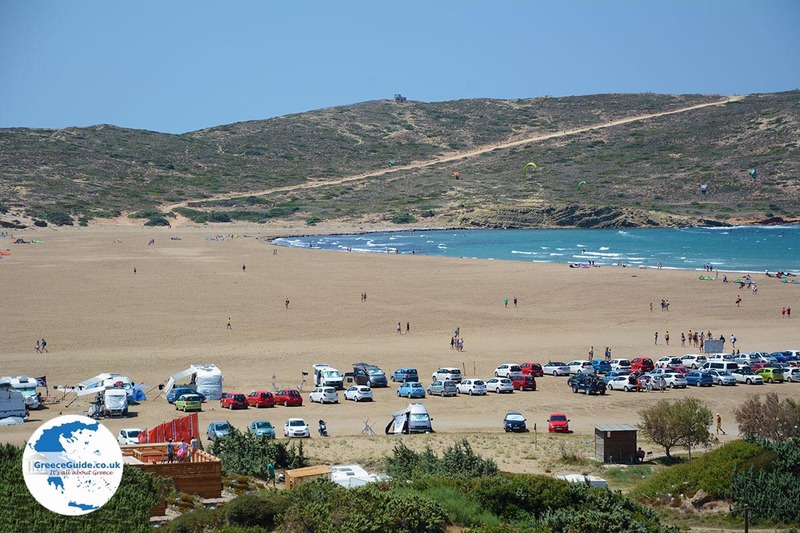 Prasonisi is very popular with windsurfers and kitesurfers, but also among tourists who want to see something exotic. 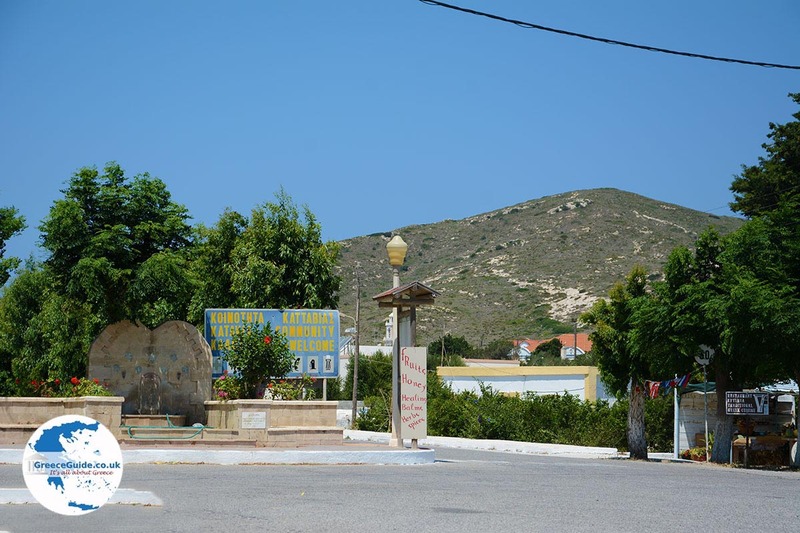 The nearest village is at Kattavia which lies 10 kilometers (6 mi) north of Prasonisi. 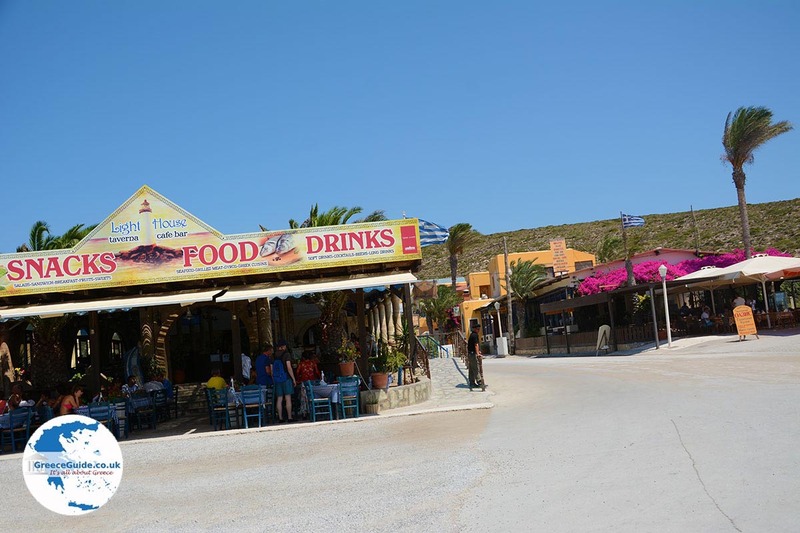 Kattavia is a traditional village with some nice taverns in the center. The inhabitants of the village are mainly farmers. 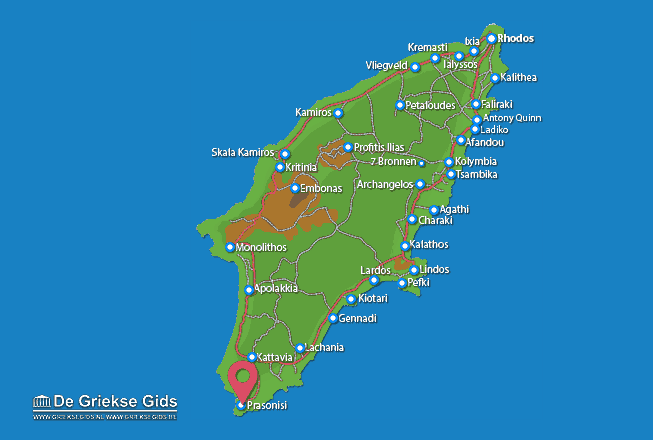 Rhodes: Where on the map is Prasonisi located?